At least two members appointed by Scott Pruitt to the EPA Science Advisory Board received industry funding for research that's bolstering agency efforts to roll back greenhouse gas rules for cars. The work of a third adviser selected by the EPA administrator asserts that the health benefits from reducing smog "may not occur." That study is also cited as evidence against fuel efficiency rules, but it's unclear who funded it. The three members include Stanley Young, affiliated with the Heartland Institute; Tony Cox, a private consultant; and Richard Smith, a statistician at the University of North Carolina. Two of them, Young and Smith, received funding from the American Petroleum Institute for research used by the Alliance of Automobile Manufacturers to justify weaker car rules. Cox was involved in research that downplays the health effects of soot; it's unclear who funded that study. The fight over vehicle emissions underscores how EPA's new science advisers could be used to attack pollution standards, observers say. But a former Obama administration official thinks it could leave the agency vulnerable to legal challenges. To rewrite the rules, EPA will have to overcome 24 peer-reviewed studies about fuel efficiency conducted by the agency, said Janet McCabe, who worked on the rules as the former acting assistant administrator of EPA's Office of Air and Radiation. The agency also produced a 1,217-page staff analysis supporting the car rules. "I feel pretty confident about the record we put together, and I'm not aware of some massive change in circumstances or technology," McCabe said. Industry-allied researchers have been given new prominence under the Trump administration, giving their work heightened credibility to fight regulations. Pruitt claims that the Obama administration relied on "politically charged expediency, made assumptions about the standards that didn't comport with reality, and set the standards too high." Last year, Pruitt overhauled the EPA Science Advisory Board and accused former SAB members who received EPA grants of being ethically compromised. The board weighs in on scientific issues related to regulations. 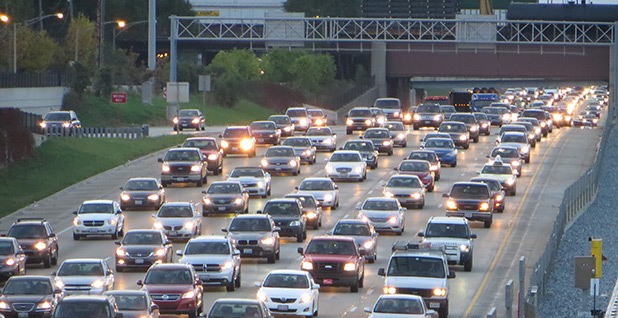 The Alliance of Automobile Manufacturers cited the work of Young, Smith and Cox when it submitted comments related to rolling back the car rules. Their research casts doubt on the links between mortality and air pollution and is outside of mainstream scientific findings. One paper published by Young asserts that hundreds of previous studies are wrong. Young also has claimed that rising carbon dioxide levels are beneficial to humanity and has written that the Clean Power Plan would harm human health. "This report unapologetically takes the position that the current paradigm, air quality is a killer, is not supported by statistical analysis that take multiple testing and multiple modeling into account and claims made in these papers may not replicate," Young wrote. Young's research with Smith was also cited by the auto alliance. It was published in the journal Regulatory Toxicology and Pharmacology, which critics say hosts industry-friendly research. Young and Smith claim that their "results call into question the widespread belief that association between air quality and acute deaths is causal/near-universal." The alliance also cited the work of Cox, whom Pruitt also tapped to head the Clean Air Scientific Advisory Committee. Cox has written talking points for the American Petroleum Institute that challenged ozone health regulations. The alliance cited multiple studies by Cox, including one claiming that the benefits to human health by reducing smog "may not occur or may be smaller than previously estimated." The work of at least one science adviser named by Pruitt, John Graham, argues against rolling back the fuel efficiency standards. Graham, who is a dean at the Indiana University School of Public and Environmental Affairs, co-authored a study that was funded by the auto alliance. But Graham said he disagrees with efforts to weaken the car rules. "It actually shows long-run economic benefits to the economy of the 2017-2025 EPA and DOT programs, so we view the results of the study as pro-regulation," Graham said in an interview. "It definitely supports continuation of the program rather than any elimination." But EPA selectively paraphrased his research to convey that the positive economic effects of the car program would take years to be realized. "The study found that the short-term effects of the standards are negative, but the long-term effects of the standards are positive for employment but will not overtake the negative effects until at least 2025," EPA wrote of Graham's research in a formal document questioning the rules. Regardless of how EPA justifies its rollback of the rules, the agency will have to produce science that can stand up in court, said John Walke, director of the Clean Air Project for the Natural Resources Defense Council's Climate and Clean Air program. Citing outsider research that falls outside the mainstream will leave EPA's effort legally vulnerable, he said. "It's a pretty pitiful playbook; the scientific support or lack thereof will rise and fall on the merits," Walke said. "The bigger problem for Administrator Pruitt is going to be the weight of the record established by the Obama administration and his need to refute those scientific and technical and economic and environmental findings point by point."